VIENNA-BRONZE-GALLERY specializes in unique and rare Vienna Bronzes/Austrian Bronzes, Wiener Bronzen or Bronzes de Vienne and related items. You have found one of the largest online stores specializing in exclusive Vienna Bronzes. Please take your time to browse through our large inventory. On the left hand side we have created easy to navigate categories and subcategories for your convenience. Click on the main link (e.g. vienna bronzes) and the subcategories will show up. Then click on the link of your choice. You will see what we have to offer on little thumbnails with titles. If you want to know more about an item just click on this thumbnail or the title and a page opens with a detailed description and many photos. You can also enter a title or keyword in 'search product'. Collecting genuine antique Vienna Bronzes are good investments and not expenditures. Please do not hesitate to contact us for any questions of general and particular nature. 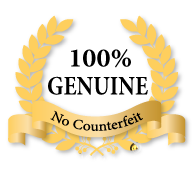 See our tab 'about fakes' and read our newsletters and articles about counterfeit 'Austrian Bronzes' mainly from the UK that are flooding the market. HAVE CHOICES, BE INFORMED, BUY WISELY!